Fisher & Fisher has an enviable level of experience and expertise in stormwater investigation and design work. 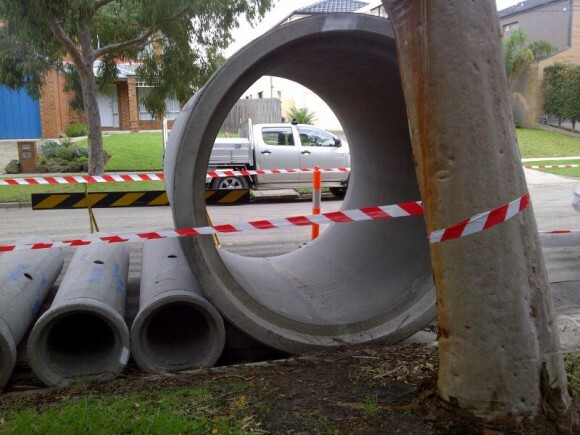 We provide ongoing services to many local government organisations, Melbourne Water and private industry clients. Projects range from investigations into local drainage problems to detail design of large trunk drainage infrastructure often serving a catchment many hundreds of hectares in area. Using programs such as RORB, DRAINS (and similar programs) and HEC-RAS, coupled with an excellent technical knowledge we create hydrologic and hydraulic models that provide exceptional quality data for use in the detail design phase. We pride ourselves on the level of detail incorporated in the detail design drawings and specifications. We recognise the importance of minimising the opportunity for contractors to claim variations for works not properly detailed on drawings. This, and the value in designing robust infrastructure that is highly durable gives the client the best possible value outcome for their investment. Fisher & Fisher can also undertake the Superintendent Role during construction.